Look at what a lucky girl I am this year! I have all of these cards and gifts to open in the morning. 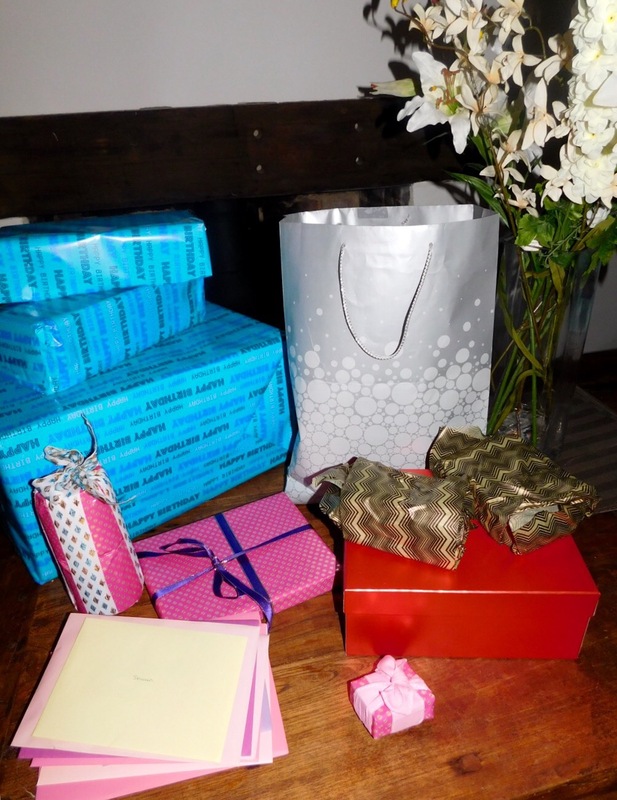 And to make it even more exciting I haven’t a clue what a single one of those presents is! My husband isn’t usually great at getting organised for things like birthdays but this year he’s made a real effort and there are even cards in that pile from each of the kids. I really don’t mind what the presents are or how many there are and I’m sure there’s nothing flashy, but I’m just so appreciative that a huge effort has been made. When I was younger my mum always used to love receiving cards with lovely verses inside and if she was ever choosing a card for someone she would take an age picking one that conveyed the message she wanted to give. I didn’t understand, I barely read the cards and was all about the presents. But now I really get it. I can’t wait to read those cards in the morning.